The marketplace team focuses on finding the right triggers to balance the demand (passenger requests) and offer (driver availabilities) to generate growth while maintaining highly reliable service. It requires a lot of data work, in order to formulate hypotheses and create models which will fit the different cities we operate in. In other words, we try to build scalable and smart things to make mobility easier, for both drivers and passengers. 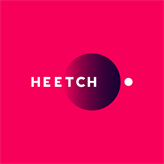 Our team's goal is to make everything we can so anyone can Heetch anytime. What are you expected to achieve in the year following your hire? You're obsessed by the value you create for users, and not only with tiny little optimizations. You want to dive into Data science, algorithms and mathematics. You want to impact users and don't just want to push code. You look for space to push ideas, bootstrapping is one of your hobbies.